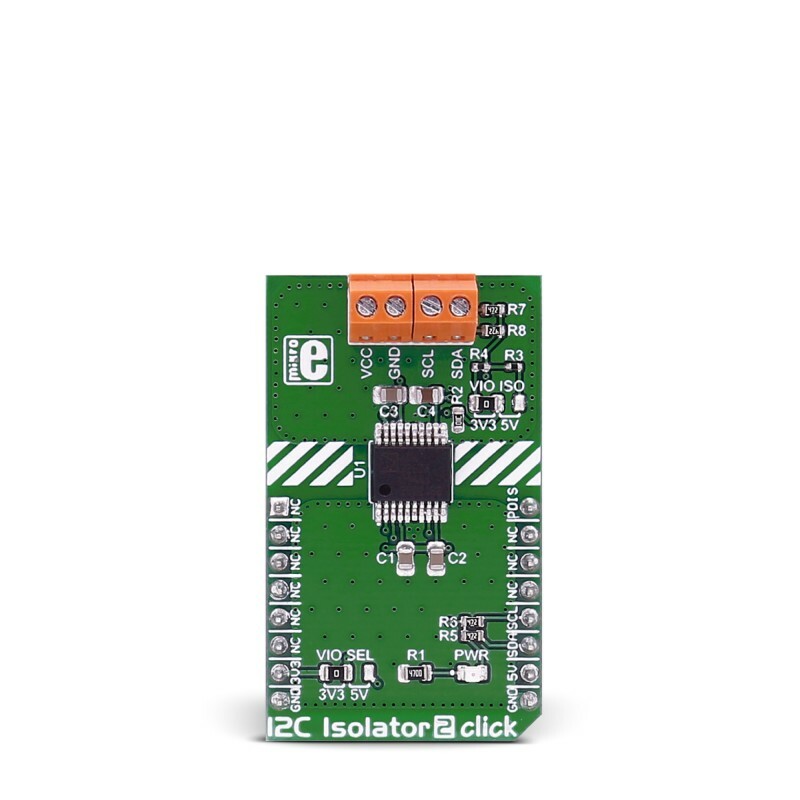 I2C Isolator 2 click provides I2C lines and power isolation for slave devices. 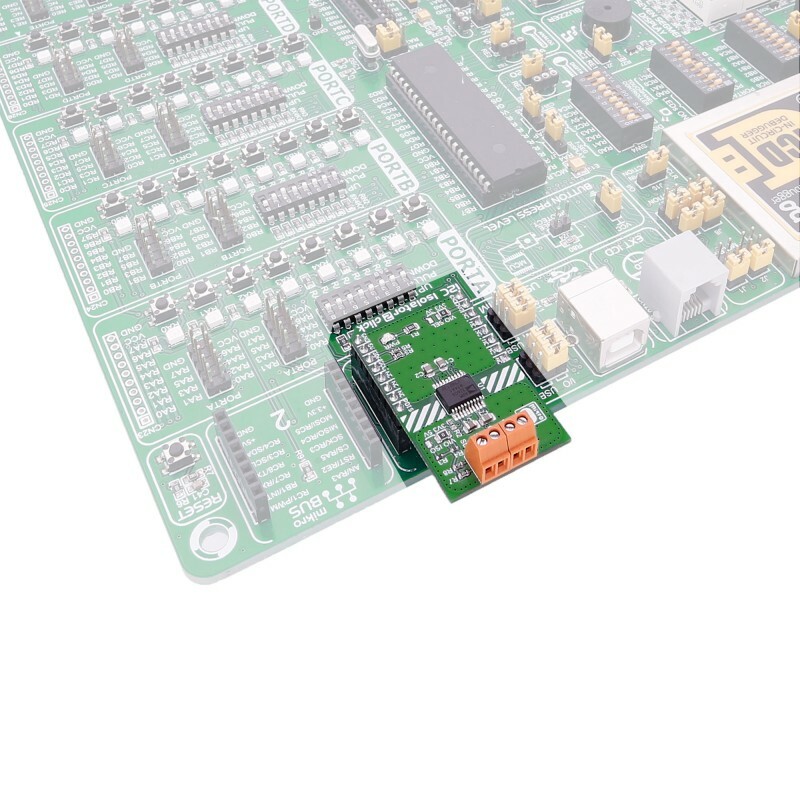 It carries the ADM3260 dual I2C isolator with an integrated DC-to-DC converter. 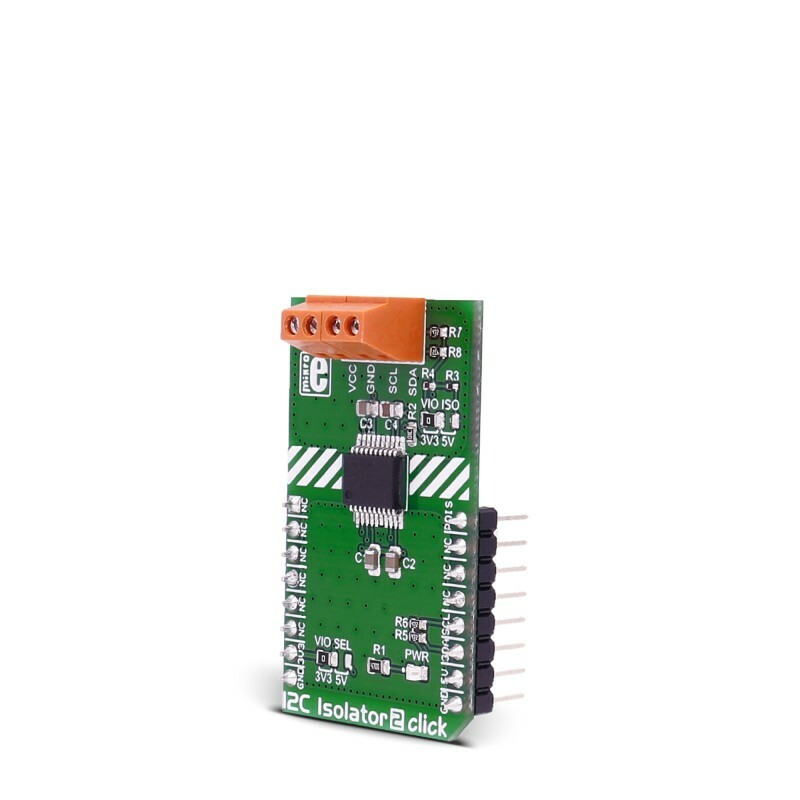 I2C Isolator 2 click is designed to run on either 3.3V or 5V power supply. The click communicates with the target microcontroller over an I2C interface with additional functionality provided by the PWM pin on the mikroBUS™ line. I2C Isolator 2 click provides I2C lines and power isolation for slave devices. It carries the ADM3260 dual I2C isolator with an integrated DC-to-DC converter. I2C Isolator 2 click is designed to run on either 3.3V or 5V power supply. 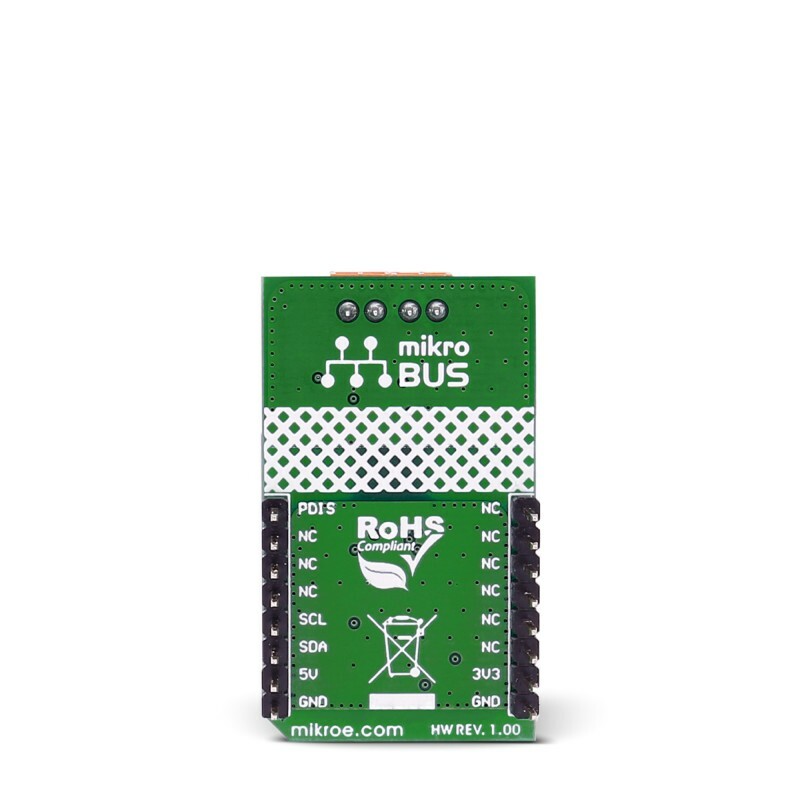 The click communicates with the target microcontroller over an I2C interface with additional functionality provided by the PWM pin on the mikroBUS™ line. The ADM3260 is a hot swappable digital and power isolator with two nonlatching, bidirectional communication channels, supporting a complete isolated I2C interface, and an integrated isolated dc-to-dc converter, supporting up to 150 mW of isolated power conversion. The bidirectional I2C channels eliminate the need for splitting I2C signals into separate transmit and receive signals for use with standalone optocouplers. The screw terminal on the board can be connected to I2C and power connections of an I2C slave device. This table shows how the pinout on I2C Isolator 2 click corresponds to the pinout on the mikroBUS™ socket (the latter shown in the two middle columns). CN1 SCREW TERMINAL VCC, GND isolated connection. The following code snippet is an example of a read sequence using I2C.